It's a nice place all round with a great feel of professionalism. I hope to find some time to go again to take some 'action' shots. I really like this shot. 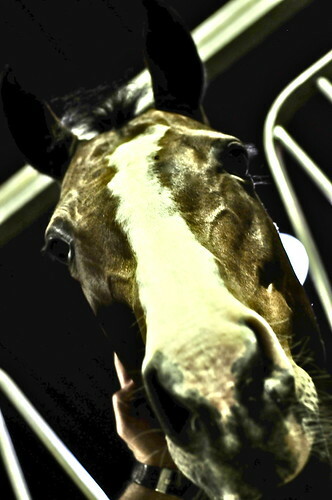 The horse seems intrigued by the camera. There are some beautiful horses there! ROFL !! I love that shot ! theres a flickr group for funny animal faces and you should submit this ! Its like the horse is saying "huh??" That's a very beautiful horse! Great shot!